Showing results by author "Andra Watkins"
Can an epic adventure succeed without a hero? 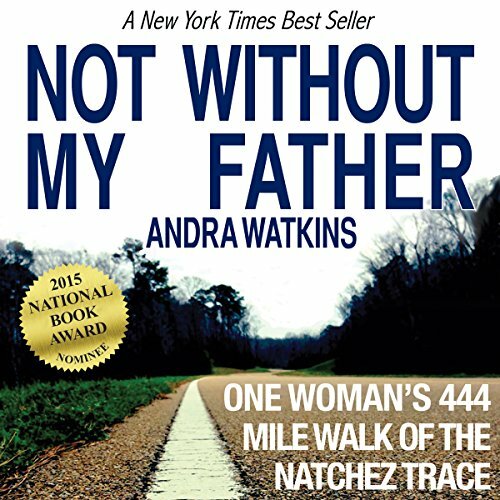 Andra Watkins needed a wingman to help her become the first living person to walk the historic 444-mile Natchez Trace, as the pioneers did. She planned to walk 15 miles a day for 34 days. After striking out with everyone in her life, she was left with her disinterested 80-year-old father. And his gas. The sleep apnea machine and self-scratching. Sharing a bathroom with a man whose gut obliterated his aim. So Bad pass this one by! Istruggled to finish .